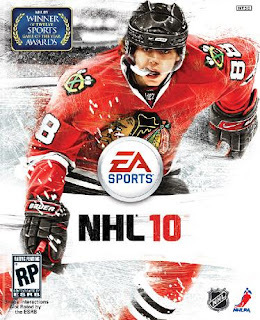 Waiting for the release date of NHL10 to arrive has been agonizingly slow. It's like lying in bed on Christmas eve, standing in line for Space Mountain at Disney World, and waiting for your pick on draft day all at once. So I've decided to find ways to get through these last days until I can start working a new groove into my couch. So for you consideration, in no particular order, here is my list of things you can do to pass the time until you rip that annoying plastic off of the best game in town. Read - No, this isn't a joke. There are tons of great works of literature out there to stimulate you mind and imagination. I suggest starting with Sports Illustrated or TV Guide. Watch some football - The new season starts this weekend and we need to get behind the other champions in Pittsburgh. Go Steelers! Talk to your wife/girlfriend/significant other - Do your time now because there is a good chance it will be June before you get to do it again. Workout you thumbs - You don't want to be cramping up before you even reach the playoffs. Maybe flip some coins or find someone to thumb wrestle. Finish your yard work - Get that lawn mower out one last time because there will be no time for pruning and edging after next week. Sleep - Because we all know what it's like to start playing a game one night and the next thing you know the sun is coming up.